At a clandestine midnight photo shoot last week I photographed actresses Rachel Gluck and Isa St. Claire who are playing Romeo and Juliet (respectively) in Curio Theatre's upcoming production of the William Shakespeare play directed by Krista Apple. 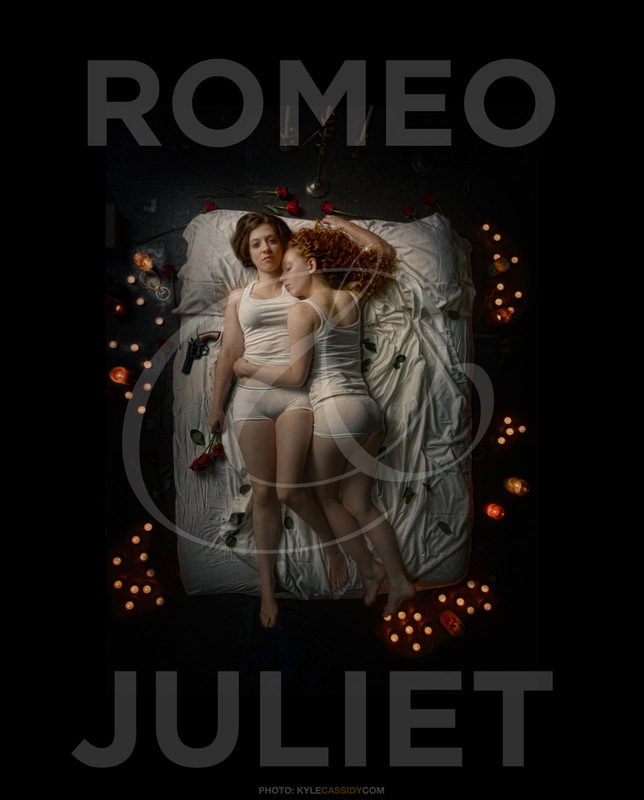 What would happen, Curio wondered, if Romeo and Juliet were both women? And from this premise is launched the misadventure of these star-cross'd lovers. Really a striking poster. Well done! This reminds me of an early promo shot for T.A.T.U. and is quite lovely. Just what I thought at first but it's just the white underwear, I guess. There is a lot more going on in the above photo. I'm just ripping off my bed-song work :) or maybe it's a theme. that's it, it's a theme. Saw a great site specific Romeo and Juliet in Baltimore this summer, where both the leads were played by and as women. Even if they were both women, they'd still be stupid, reactionary, petulant children with poor judgement. I would definitely put that poster on my wall. Makes me wish I lived close enough to see the play!